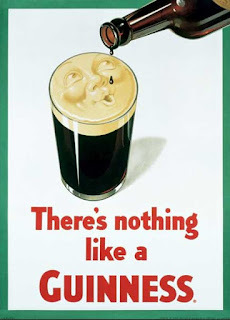 For St. Patrick's Day every year, I post a lot of Guinness recipes. No big surprise because when I think of Ireland, I think of shamrocks and leprechauns...and Guinness. Guinness Beer was founded in 1759 when Arthur Guinness signed a 9000 (!) year lease on a brewery in Dublin. That brewery is still the center of Guinness operations, and all the Guinness sold in the UK, Ireland, and North America is brewed there! FYI for those of you in the U.K., Guinness is served chilled in Ireland and the bottles read "Serve Extra Cold." 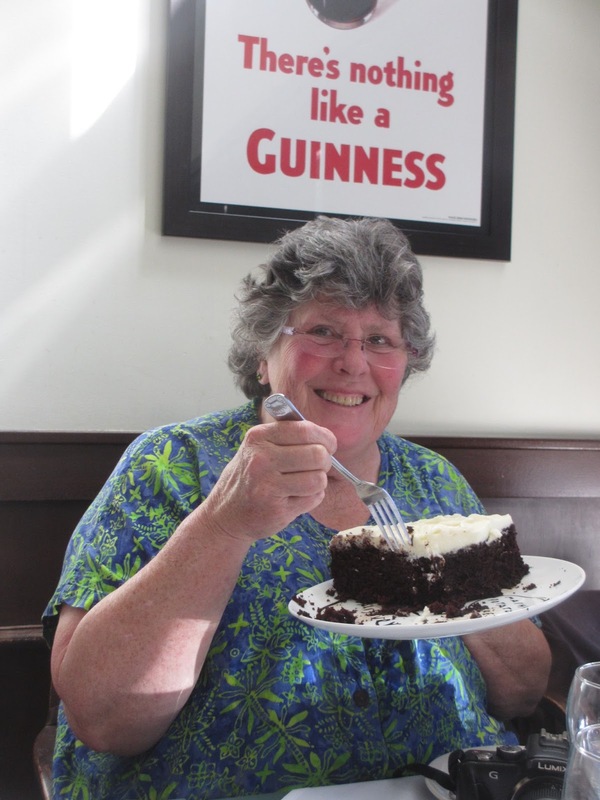 St. Patrick's Day calls for a Chocolate Guinness Cake! I've put together three recipes. 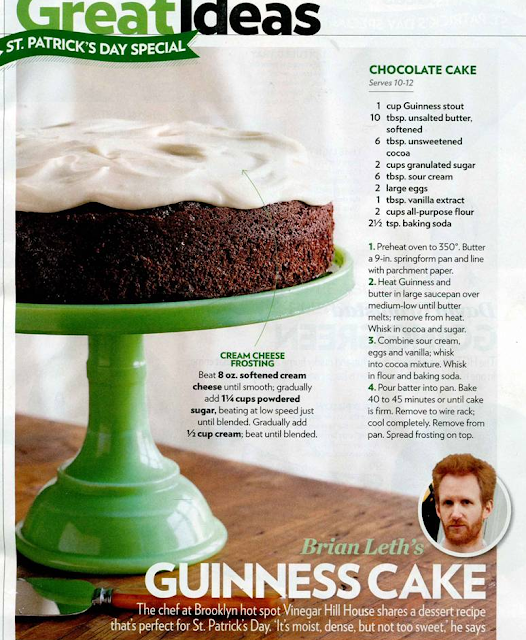 One of my favorite Chocolate Guinness Cake Recipes is from the New York Times (12/8/04). 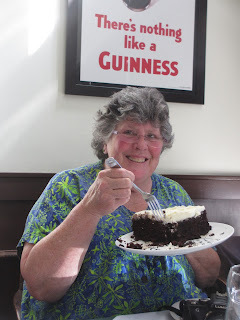 There are several other recipes I like, including an "Easy" Chocolate Guinness Cake made from a cake mix--and a whole bottle of Guinness. The final one on today's post is from Chef Brian Leth of Vinegar Hill House and appeared in People Magazine in 2012 (see below). My friend Loanne Heavey Slapar swears by it (see photo below). It's pretty similar to the one from the NYT, but I'll bet it all comes down to the cocoa .. and a bit of technique. Heat oven to 350 degrees. Butter 9-inch springform pan and line with parchment paper. In large saucepan, combine Guinness and butter. Place over medium-low heat until butter melts, then remove from heat. Add cocoa and superfine sugar. Whisk to blend. In small bowl, combine sour cream, eggs, and vanilla; mix well. Add to Guinness mixture. Add flour and baking soda, and whisk again until smooth. Pour into buttered pan, and bake until risen and firm, 45 minutes to one hour. Place pan on wire rack and cool completely in pan. Remove cake from pan and place on platter or cake stand. Ice the top with cream cheese icing. The NYT recipe uses a white cream cheese icing. If you use a white cream cheese icing, you can ice the top of cake only, so that it resembles a frothy pint of Guinness. If you use chocolate, well.... you'll be eating more chocolate! Don't have the time or inclination to make a cake from scratch? This Chocolate Guinness Cake is even easier and calls for more Guinness!!! This recipe is from Canela and Comino. Don't worry about the taste or smell of the Guinness because you're using the whole bottle. You'll only have a tang from the Guinness and no yeasty smell, just great chocolate aroma! Combine cake mix, Stout, oil, and eggs in mixing bowl. Mix on medium speed just until combined. Add bittersweet chocolate and gently stir in. Divide between two 8” cake pans, coated with cooking spray. Bake at 350F for 20-25 minutes or until toothpick comes out clean when stuck in middle.